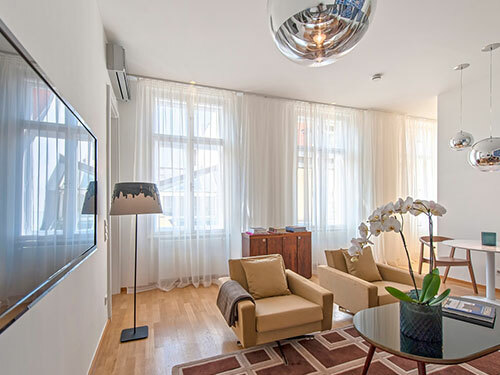 If you are coming to Vienna for a certain period of time and do not want to set up a complete household, you make the right choice with our apartments and services. Of course, we also help you with authority issues. 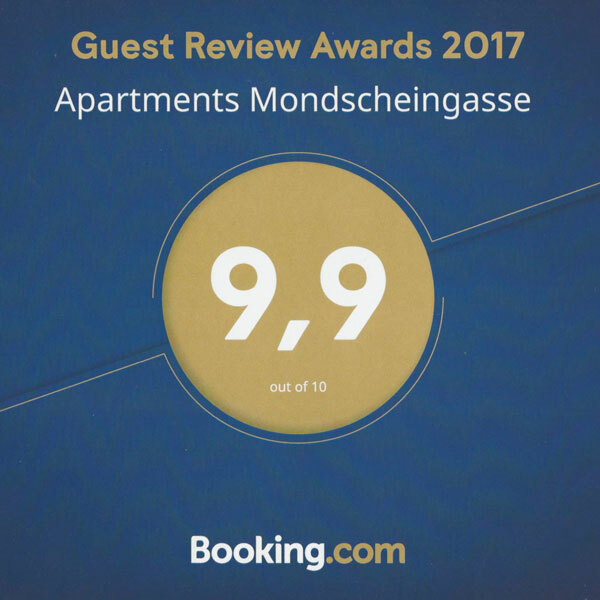 On our homepage you will find all our apartments, from which you can choose according to your needs. Or you can ask us and we recommend the apartment that suits you. We can handle your Check-in with our key box very flexibly: You arrive and have access to the apartment immediately and without waiting. You will receive all information via e-mail in advance. We know that a longer stay is different from a short one. Therefore, you will find everything that you need in our apartments to make you feel like home: high quality furniture with hand-picked individual pieces, boxspring beds with different mattress hardness, fully equipped kitchens with Nespresso coffee machine, toaster, water kettle, stove, oven, cutlery, dishes and kitchen utensils. Our apartments are equipped with high speed internet access, which allows up to 5 devices to be easily accessed. The invoices can be paid by bank transfer, credit card, cash or bank debit, depending on your request. The value-added tax is stated separately, so you can use it for your tax declaration and billing. Do you need to extend your stay? Please let us know and we will renew your booking. If you do not want to clean your apartment yourself, we can organize cleanings on individual dates or regularly, e.g. weekly or every 2 weeks. Included in the cleanings is the change of linen and towels. A new city with endless possibilities for nightlife, shopping and dining! We will be pleased to give you our personal recommendations and insider tips.